Heavy alcohol using among Jaakko and Lauri caused the idea of Total Devastation in the summer of 1998. 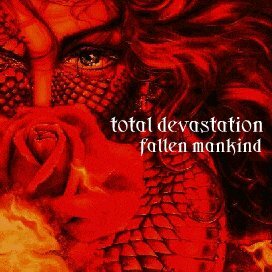 Impaled Nazarene released their "Rapture" album and the name Total Devastation was ripped from some random song from that album. 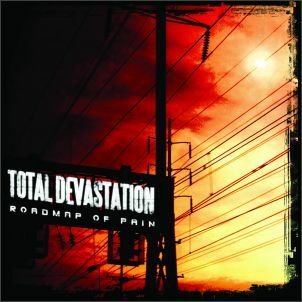 First demo "Roadmap of Pain" was created with computer and manmade vocals. Harri wrote some lyrics at that time with an old typewriter which was found from the Pikka base vaults. We were told, that one of our friend's friend (who we did not know) requested years later the "Roadmap of Pain" demo-cd, when spending his last days in the mental asylum, which made us confident that we were definitely on the right path musically. Four more demos were made between the years 1998-2002. The last two demos "Divine-Ecstasy" (2001) and "Left Hand of the Devil" (2002) made more to the public eye. "Divine-Ecstasy" was even reviewed as the demo of the month in the mighty Metal Hammer magazine. "Left Hand of the Devil" finally got us the deal with Firebox Records. By this time Hakuli brothers (Saku & Pasi) and the third Pikka brother Jarmo were in the line up to stay. We started to get lots of gig offers and the band was also evolving in the direction that we needed 6 members in the band. "Roadmap of Pain" was again the title of the first album released by Firebox. It consisted mostly songs from the earlier demos re-recorded at the Tuomo Valtonen HQ, Sundicoop Studio. We had only little time to record the album and we couldn't participate on the mixing session. Tuomo did it on his own. The result was good, but we were not very happy with the over all sounds really. The album got good reviews and we got a booking agency (Dex Viihde) in Finland after the album was released. 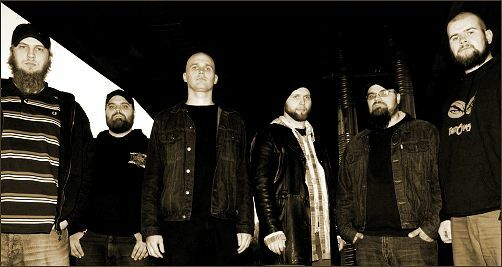 "Reclusion" album was recorded with Janne Saksa at Sound Supreme studio in fall 2004. We were impressed with his works with Mokoma etc. We were getting closer to the sound we were looking for. Autopsy cover song, which was included on the "Reclusion" as a bonus, was really fun thing to do and we even got the opportunity to pass the record with the cover song to the vomit maestro himself, Chris Reifert. The themes for the "Wreck" album begun to take shape during the gigs supporting the "Reclusion" album. Lots of lyrical ideas were brought up within the mornings after the gigs, mostly after supporting Rotten Sound. Almost entire lyrical side to the new album of Kaihoro (Hakuli bros. and Harri´s other band) was also done during these gigs. More and more Entombed driven guitar sound was in mind when we entered the Sound Supreme studio to record "Wreck" in spring 2006. We had the best songs so far and we got the best production so far. ”Wreck” is our "Wolverine Blues" and "Master of Puppets".